Who knew that working on your abdominals could be so relaxing? Belly fat has been more than usually on my mind for the past few weeks. First Style Craze, an Indian style and beauty blog, asked me for my “Three Best Yoga Tips to Lose Belly Fat” for a yoga expert roundup. My purist side wanted to say: “don’t practice yoga for anything, especially not for tailoring your body to beauty industry standards.” But my broader and more optimistic side thinks that any path to yoga will do, as long as you keep walking it. Besides, there are very clear health benefits to keeping your waist measurement on the smaller side. In this case, society’s norms for beauty coincide with good health. So I sent them off an answer, and haven’t heard back. What? Not a six-pack? Perhaps he’s been eating too many bananas. 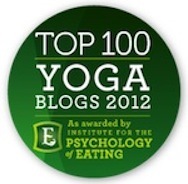 • What you eat is much more likely than yoga to influence your belly fat. If like me you are a naturally apple-shaped person, who carries any extra weight in their abdomen, then the best way to reduce belly fat is to avoid eating sugar and other simple carbohydrates. My own belly fat expands and contracts depending on how many cinnamon buns, custard Danishes and other forms of Scandinavian comfort food I eat. The strongest connection I’ve found between yoga and belly fat: a balanced practice takes away my need to self-soothe at the bakery. • Your “belly fat” might have more to do with your posture than it does with slack muscles or extra weight. If you habitually round your upper back, a posture that’s encouraged by computer use, cooking and driving a car, then your belly is likely to protrude. The same thing will happen if you tip your pelvis forward when you sit and stand. Imagine your pelvis as a bowl full of cherries. If you let the front of the bowl tip down toward the floor, the cherries (or in this case, your belly) will fall out. If you lift the front rim of your pelvis until the bowl is level, you’ll feel your belly move in and up, all by itself. • What we really want in a yoga practice isn’t so much a flat belly as a functional belly. We want core muscles that will support us as we move through the poses. That includes the deep muscles of the back as well as the abdominals. We want awareness and connection. We want a belly that is strong, but relaxed, capable of work, but not gripped. Instead, work from curiosity and respect. Bring awareness to your abdominal muscles, and to learn how to engage them in a healthy way in all postures. 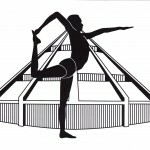 Instead of taking on the obvious abdominal strenghtening poses, look at what your belly does in all categories of poses. One example: we don’t normally think of seated forward extensions as poses to work the core body. In fact, they’re a great way to connect with your abdominal muscles, because the work is moderate enough that you can gain strength without strain. Today’s pose is perhaps the most relaxed way I know to feel how a lively, activated belly works in asana practice. It will do you more good than a thousand grimly determined but mindless crunches. Put the smaller of your two bolsters under your chest. Set up a mat with two bolsters and a blanket. (If you have only one bolster, put a stack of blankets or chip-foam blocks under your feet.) Place the blanket so it will be under your head, and put the smaller of the two bolsters closer to the blanket. 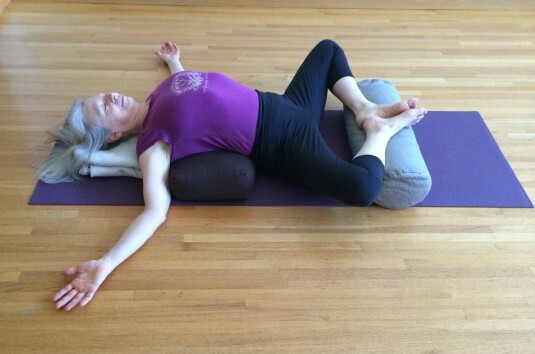 Lie down with your shoulder blades on the smaller bolster. Slide backwards so your head comes to rest on the blanket and your arms fit between the bolster and the blanket. Your shoulders will not be resting on the floor. If your head doesn’t reach the blanket, add another blanket. You want your neck to feel neutral, not arched so your chin lifts to the ceiling. If your shoulders are stiff, try supporting your arms on chip-foam blocks or folded blankets. 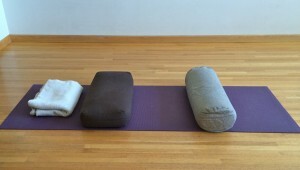 Bring your feet onto the second bolster. Lift your pelvis away from the floor very slightly, and draw your buttocks toward your heels. Then slowly lower your buttocks back to the floor, keeping the length in your lower back. Put the soles of your feet together and let your knees release apart. If your inner thighs feel strained, bring a looped belt around your outer knees, just tight enough to support your legs while allowing your maximum comfortable stretch. Then relax. 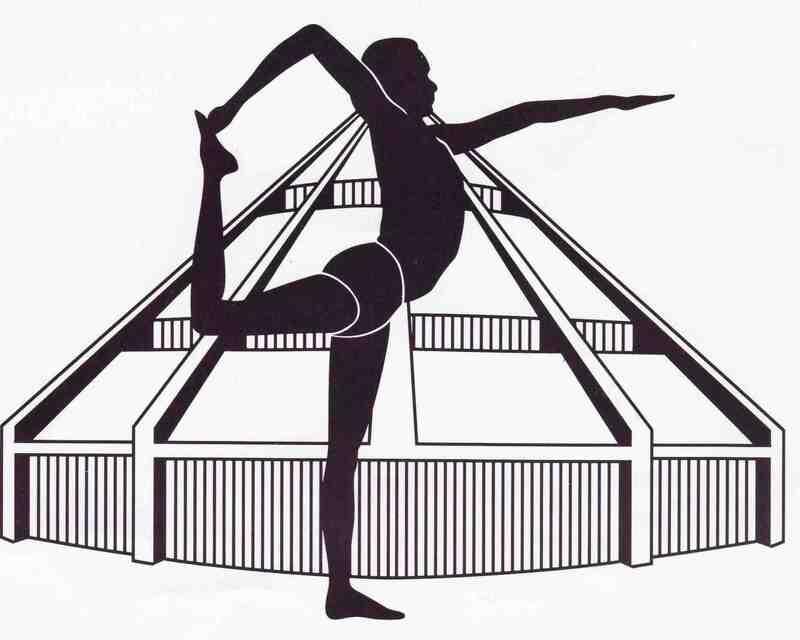 This is a great pose for letting tension go from your belly. For five minutes, settle into your breathing, relaxing your face, eyes, ears and brain, and watching your natural breath come and go. When your eyes are soft, your front throat is soft, and your breath is quiet and regular, start to direct your inhalations. Be gentle. Rather than “doing” try seeing your inhalations move from the sides of your pubic bones, down toward your spine, then rising up the front of your spine, in line with the sides of your navel, toward your diaphragm. As the breath travels up your belly, notice how it also moves deeper, down toward the floor, and broadens. Stay for as long as you have time. Ten minutes would be lovely. Roll to your right-hand side to come out. Stay on your side for at least two relaxed breaths, then slowly sit up. Sit in Sukhasana on one of the bolsters. See if you can maintain the feeling of your soft, broad, lifted belly as you sit. Next: How a simple strap can help you tame two of the most demanding abdominal poses. I like the way you have presented the relation between flat belly and Yoga. I also believe that there is a strong connection of flat belly and food we eat. Also there is a great effect of food on our mental state on the type of food we eat. So we should have to take care of all these things, and it can be easily done by reading you valuable article.